Several states, starting with South Carolina as always, have already taken legal steps to repeal the DCI’s ban/restricted list, calling it “social engineering.” The Federal bill is considered an attempt at generalizing that response nationwide. 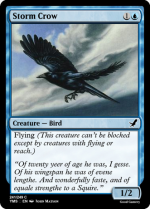 The act also removes the “4 card” restriction from the Magic rules. 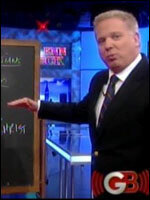 Television and radio personality Glenn Beck took the nation completely by surprise by being in lock-step with the Republicans. “If somebody wants to play 20 Black Lotuses in their Type 2 deck, are we going to say, ‘No, you should be punished for the lifetime of hard work that earned you those Black Lotuses’?” Beck asked. “We’ve seen this before. It’s called class warfare, socialism, communism, Nazism, Soviet Russia, the French Revolution, the fall of Rome, George Soros, and the execution of Christ,” Beck continued, excitedly drawing lines of chalk from one item to the next. 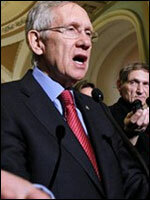 “Jobs, jobs, jobs!” Reid added. 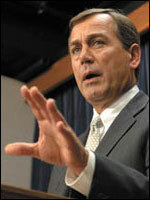 The Democrats in the House, however, are responding to the House GOP’s proposal from another angle. But how would such a bill create jobs? 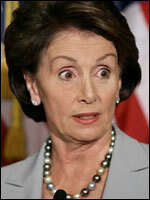 “We’ll find a way,” Pelosi said while raising her eyebrows up and down repeatedly.